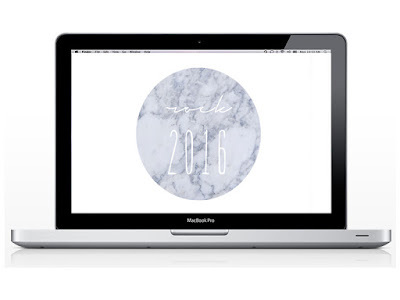 A simple and clean design freebie to celebrate the arrival of 2016 and update your tech. I had to incorporate a little bit of marble because, well, I'm obsessed. We actually received our new marble coffee table from West Elm today and I actually gasped when I first came into the living room and saw it. Okay, enough about my random anecdote - click on the link to download and let me know what you'd like to see next!